Let’s Grow Your Social Media: Instagram and Twitter! Effective social media growth-hack marketing services simplified! We bring the genuine, real, targeted potential clients and customers to your business profiles so your company or project’s content is seen and amplified. 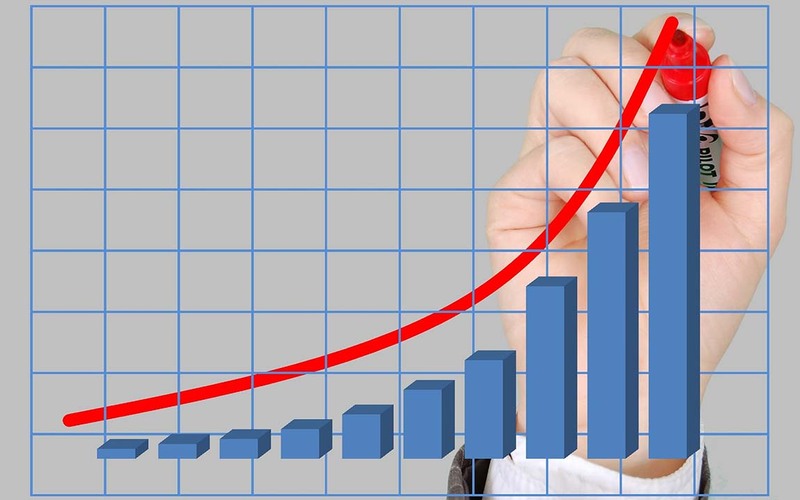 What Does Social Media Follower Boost Do? 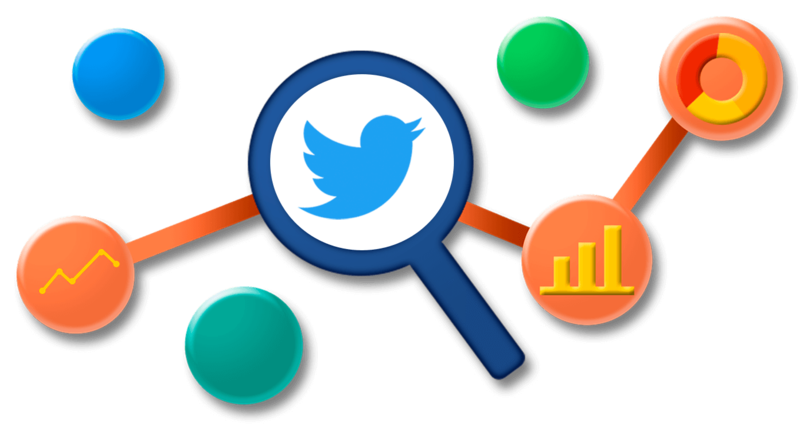 After extracting Twitter users’ data fitting your targeting specifications, the list is re-sorted so quality users are at the top of the list. Top-down targeting starts at the top of the list. A cycle consists of a follower gain of at least 625 and consists of 7 days minimum. Certain targeting, especially location targeting, may take several weeks to achieve a completed cycle. Targets Twitter users in real-time as they actively engage. This gains live active users as followers. 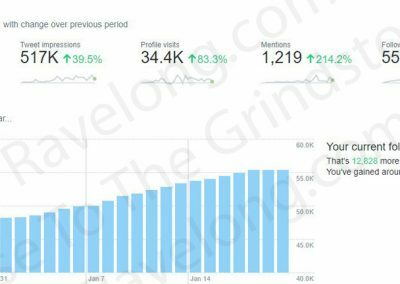 The followers gained will be very broad and most likely not fit into any specific niche, only the niche of ‘active twitter user’. This service is best for gaining a quantity of users, not necessarily quality. After extracting Instagram users’ data fitting targeting, the list is re-sorted so quality users are at the top of the list. Topdown targeting starts at the top of the list. A cycle consists of a follower gain of at least 325 and consists of 7 days minimum. Certain targeting, especially location targeting, may take several weeks to achieve a completed cycle. Option to Auto Like – Your profile would automatically like targeted posts from other users to generate more interactivity. Instagram and Twitter. Recommended. Option to Auto Retweet – Your profile would automatically retweet posts from users and hashtags of your choosing. Twitter only. Option to Auto Reply Comment – Your profile would automatically comment your custom messages on tweets in a specific hashtag or you may want to auto-reply to anyone that tweets to you. Twitter only. Option to Auto Direct Message – Your profile would automatically send your custom message to current followers, new followers, or both. Also an option to delete all DMs quickly. Twitter only. Not Recommended- Use at your own risk. Option to Mute New Follows – Your news feed would only show status updates from users you follow prior to starting Followerboost. If you are concerned about your feed showing irrelevance, use this feature. 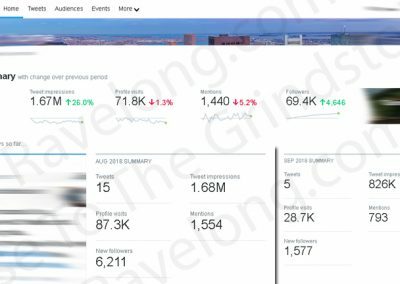 Detailed Analytics Report – Please ask for the report. Available after 1000+ followers. How many new Instagram followers can I expect? 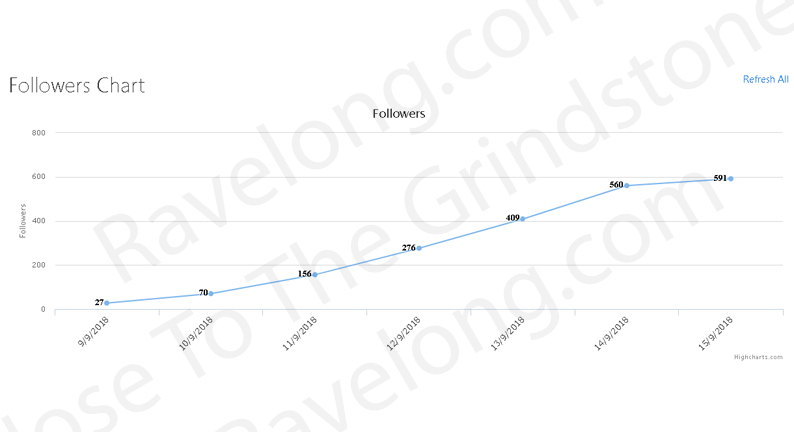 A newer Instagram account will gain 325-600 new followers per cycle depending on the niche and targeting options. 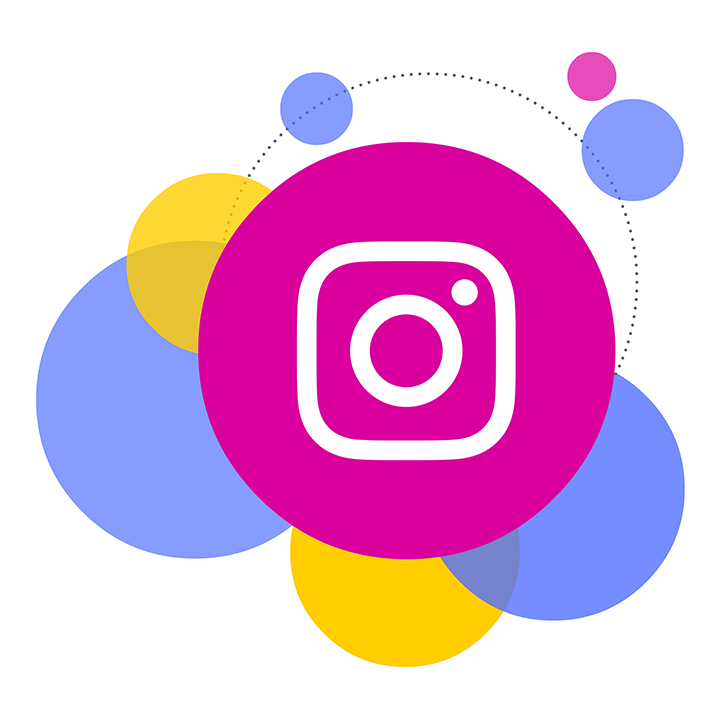 An established Instagram account will gain 325-1250+ new followers per cycle. How many new Twitter followers can I expect? As you gain more followers, more followers will come faster. Twitter (Top-Down) – A newer Twitter account will gain 625-1000 new followers per cycle depending on the niche and targeting. 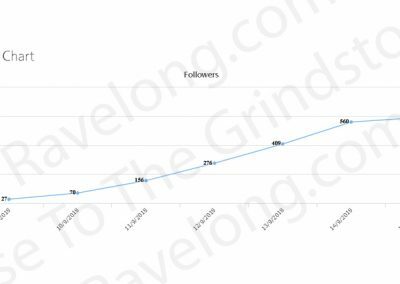 An established Twitter account will gain 625-2500+ new followers per cycle. Twitter (Live-Targeting) – Newer Twitter profiles will bring in 2500-5000+ new followers a month. Established Twitter profiles will bring in 10000+ followers a month. 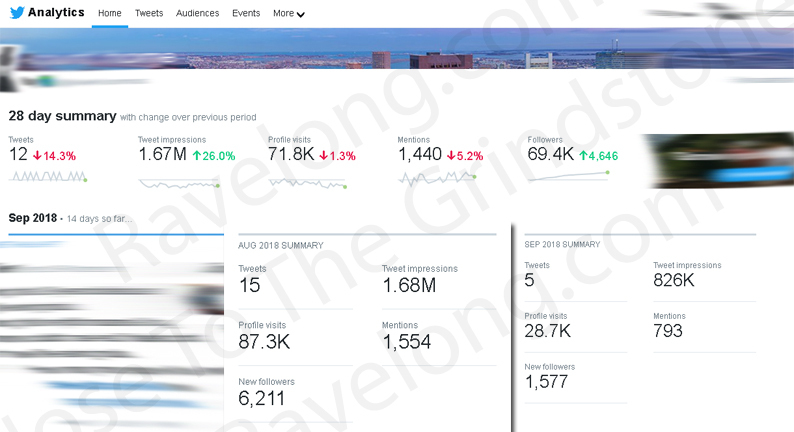 Influencer/Verified Twitter profiles bring in 100,000+ new followers a month. 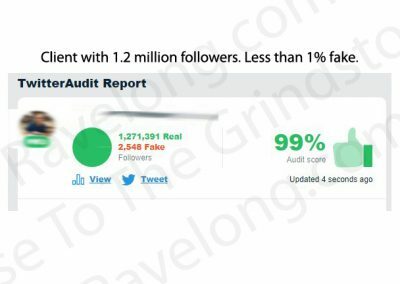 Are these followers real or fake? 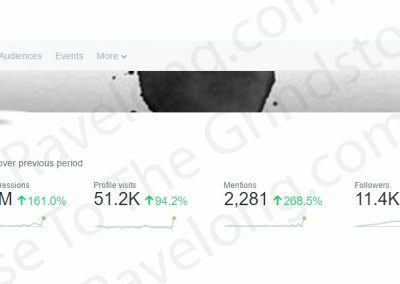 Ravelong’s system gains real, genuine, targeted people, and generates thousands of quality post impressions / profile views. These are real potential customers and clients, gained using methods to organically blossom the account. We are transparent and would be happy to share the behind-the-scenes process if you’re interested. If you’ve heard about or are currently using any other social media service, we would be happy to analyze their service and describe the comparisons and differences to Ravelong’s services. 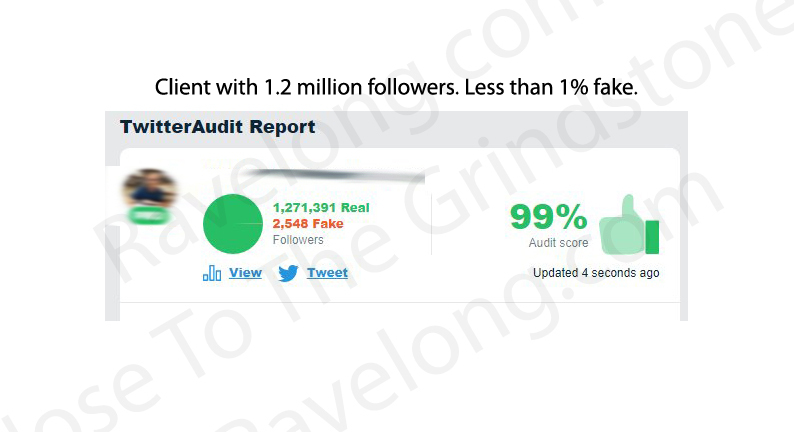 We have a data extraction and sorting techique that most services cannot offer causing Ravelong’s followerboost to beat out the competition in both quality and quantity. Our ‘live-targeting’ option cannot be matched by any software as a service. What are the first steps? How do we begin? -Add a mobile phone number and email address to the account if those are not in the account already. When there’s a verification check, it will go to your phone or email to approve. We do not post your content. We can help with the artwork for cover banners, profile images, and effective profile descriptions. You don’t have to post content for followerboost to still work, however, we recommend at least some minimal postings. -The follower numbers will go up and following numbers will go up and down. It may cause the feeds to show you irreverent info and posts. -We sweep and clean the accounts every few days removing any junk that gets in. Junk and barnacles need to get in for us to blacklist them out. -Many spam DMs will come in. You can ignore those. You will want to look for genuine inquiries. Will you work for marketers/agencies? Yes, definitely! Ravelong’s services work perfectly with digital agencies, social media marketing managers, content marketers, SEO pros, entrepreneurs, freelancers, etc. It’s extremely beneficial to have Ravelong in your back pocket because what we bring to the table is what you bring to the table. We work as “white label” – If we ever need to talk to your clients directly, we don’t mention Ravelong without your permission. To your clients, we’re part of your team getting the job done. Your clients pay you. You pay us. You may want to send us your clients directly. We’ll work on your own company’s Twitter & Instagram no charge while we work on your clients’ profiles. If we’re working on 4 accounts you’ve sent, your company profile will be follower-boosted at no charge. Twitter Follower Boost: We do a week, then pay $25 only if satisfied. If not satisfied, no charge and no worries. To continue onward with Live-Targeting or Top-Down Targeting let us know. Payment is at the end of each week cycle. We accept PayPal, Venmo, and most forms of Cryptocurrencies. Ravelong will send you an invoice and payment reminders. Please be advised, there are guidelines to posting content. On Instagram, using the same hashtags repeatedly, using the same list of hashtags in the same order, using flagged hashtags, posting links, writing too much text, posting too often, tagging too many people, are all various ways to cause issues to your profile, some temporary and some permanent. On Twitter, posting the same link or tagging too many people may cause a temporary 1-3 day shadowban. Ravelong is not responsible for lost, damaged, suspended, or terminated accounts. We will absolutely do our best to guide you with best practices to posting content, but when it comes down to it, you are responsible for the content you post. 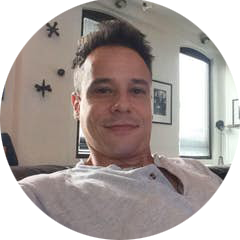 Hi, I’m Brad Reason and I run ‘Ravelong’, a small digital marketing company! Why choose me? I’m a human; I’m not automated and not software (SaaS). The social media marketing services I offer are only possible with my experienced human touch. I’m honest, dependable, and easily reachable. Use the contact form below and let’s connect to discuss your marketing goals. My growth-hacks are right for you if you’re trying to sell products, find new clients, and trying to establish/amplify your brand. My services also work perfectly with social media marketing agencies, content marketers, and SMM managers.